Film math theorem: Nicole Holofcener = Alexander Payne. Both writer-directors of smart and funny dramas. Not epics or genre films. Not tragedies or slapsticks. Depicting ordinary lives: teachers, retirees, salesmen, office workers. 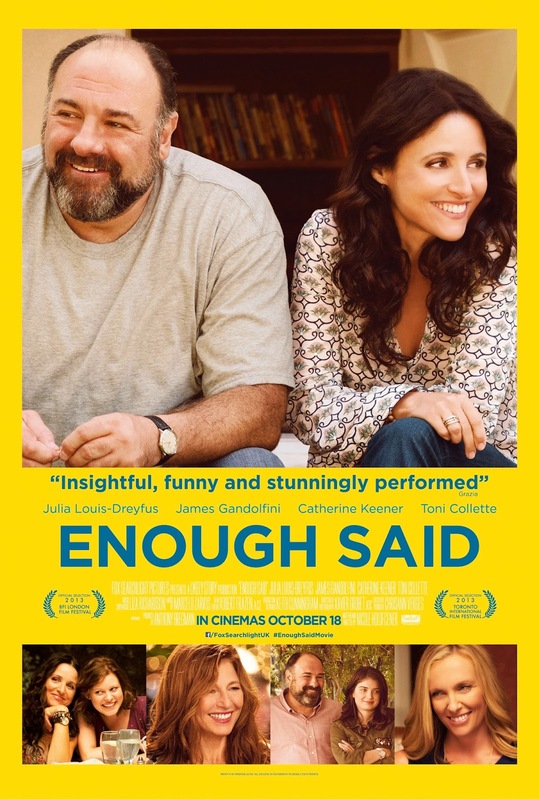 Holofcener's latest is Enough Said, starring one of my primo girl-crushes, Julia Louis-Dreyfus, and James Gandolfini, in his last role. It's a good place to start if you've never seen Holofcener's films. 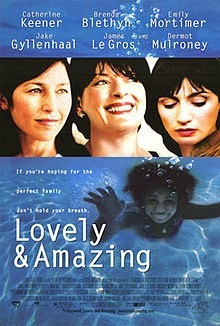 Lovely & Amazing is another favorite. Almost all of Holofcener's films feature Catherine Keener as well, so that's an automatic win.